As dedicated social media users it might come as a surprise that there are things I don't like about Twitter, Facebook etc. While I like interesting social commentary and big news in peoples' lives, I'm not bothered about the minutae and could really do without the updates for updates' sake: "just had a cold shower...", "cant decide what to have for dinner..." Hmmm. One of the great things about Twitter, however, is it provides a new way for the more underground producers, sellers and businesses to have a voice. 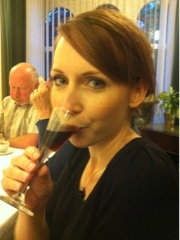 For example, last night we went to a supper club hosted by Mario of @gustoitaliano. 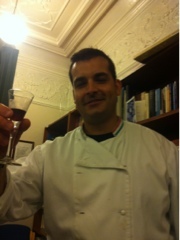 Mario is Sardinian born, moved to the UK to work for six months, met a lovely lady (Sonia) and never left. 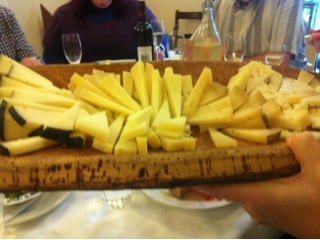 He was brought up making traditional Sardinian food: anything that could be made at home was. From gnocchi to Mirta to cheese, Mario can, and does, make it all. The supper club is a show case of Mario's skills, and is a wonderful experience. The food was delicious and varied, and we were not left wanting in the slightest. I also love a supper club for throwing together a group of different people for dinner and we had charming company last night. 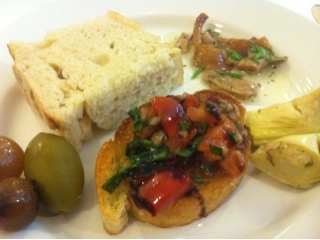 Supper started with a plentiful selection of antipasti, including Mario's home made sheep's cheeses, cured meats, marinaded peppers, aubergines and courgettes, olives, pickled baby onions, marinaded mushrooms and artichokes and breads. 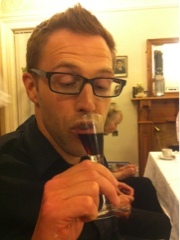 He also made the best bruscetta I have ever eaten, with sweet, pungent tomatoes, red onions and herbs with lots of olive oil. The antipasti was beautiful, everything full of flavour. 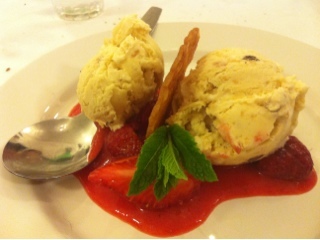 I could, quite easily, have just eaten that all night and been more than satisfied. But who goes to a supper club simply to be satisfied? After a small rest break, the next course was a simple but delicious plate of gnocchettini with tomato, basil and pecorino cheese. 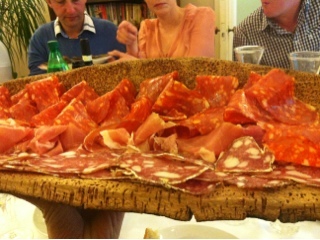 The beauty of Italian food is that so much flavour can be achieved with a small selection of ingredients. 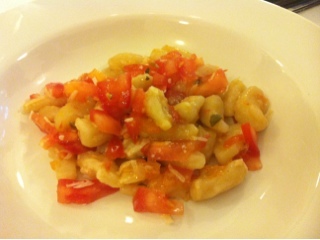 I am not usually a big fan of gnocchi but these were light little morsels, the perfect vehicle for the sauce. Don't think that the food stopped there though. 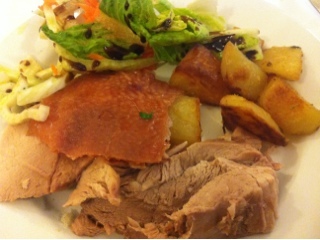 The main event, and (being honest) the major selling point for us was the roast suckling pig, served with crisp potatoes and a salad of fennel, carrot and lettuce. 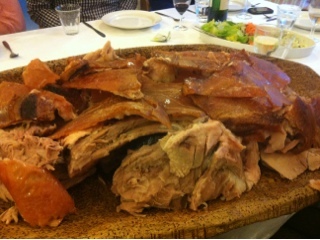 The suckling pig was simply delicious: rich, moist, tasty fat and crisp crackling. I don't think I've tasted better pork in my life and will now spend an eternity being asked by Joe to make a whole suckling pig at home. I won't though, because I don't think I could better Mario's effort. Again, the main ingredient was able to shine, with uncomplicated accompaniments. Whole roast suckling pig? Don't mind if I do. Dessert was semifreddo with nuts and chocolate and a lovely strawberry and raspberry sauce, followed up by espresso courtesy of @casaespresso and traditional Italian pastries. 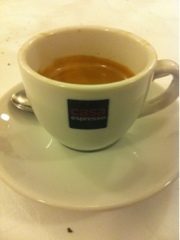 The semifreddo was creamy but light, the espresso fantastic and the pastries and indulgent end to the meal. 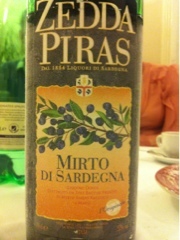 We also had a digestif of Mirto, a traditional Sardinian liqueur made from the myrtle plant. 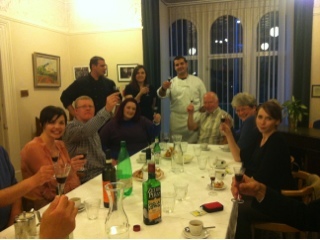 We had a wonderful night with some truly delicious food. 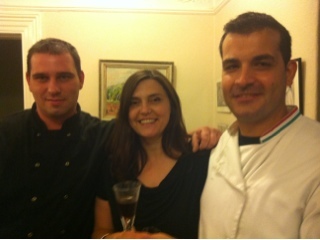 Mario is a fantastic chef who works hard to bring traditional Sardinian food to the people of Yorkshire. He sells his produce at the farmers markets (including the marinaded vegetables, home made cheeses, as well as dishes like lasagna and tiramisu) and does the supper club on a monthly basis. Yes, it might look like a lot of food, but for a gastronomic treat, I don't think you could find an Italian restaurant doing better. And for those who want a taste of Mario's food a bit sooner, he is doing a cookery demonstration at Macy's in Headingley at the end of the month. The link for tickets can be found here. Enjoy!